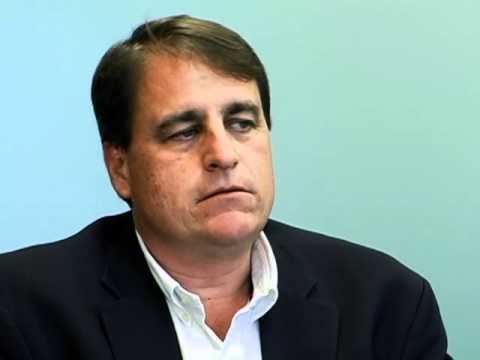 FORT LAUDERDALE – Truth Wins Out called on Fort Lauderdale Mayor Jack Seiler (pictured) today to rescind an invitation he offered to a notorious anti-LGBT activist to speak at the city’s prayer breakfast. The invitation is an insult to a city with one of the largest LGBT populations in America, and harmful to efforts to promote Fort Lauderdale as a tourist destination that celebrates diversity. “Bigotry harms our brand and is bad for business. It is a personal embarrassment to me as I travel to national and international destinations to promote Greater Fort Lauderdale as a welcoming LGBTQ destination,” said Keith Blackburn, President and CEO of the Greater Fort Lauderdale Gay and Lesbian Chamber of Commerce and Truth Wins Out Board President. “With all the good pastors who teach the lesson of ‘love thy neighbor,’ it is outrageous that Mayor Seiler has chosen an extremist to lead his prayer breakfast that preaches ‘loathe thy neighbor,” said Truth Wins Out Executive Director Wayne Besen. This is not Daly’s first controversial trip to Fort Lauderdale. In 2008, Daly led the prayer at the invitation of now former mayor Jim Naugle. Truth Wins Out (TWO) is a non-profit organization that works to demolish the very foundation of anti-LGBT prejudice. We attack the underpinnings of homophobia by debunking harmful lies, discrediting hateful myths, and countering anti-LGBT organizations. By chipping away at the underlying ignorance that fuels anti-LGBT attitudes, we can ultimately win our fight for fairness and achieve full equality for gay, lesbian, bisexual, and transgender people worldwide. The GFLGLCC is the exclusive Broward County affiliate of the NGLCC – National Gay & Lesbian Chamber of Commerce. Their mission is to promote business and economic opportunities for the LGBT and LGBT-friendly community; be an advocate and resource for all member businesses that promote equality and to promote tourism with a unified approach by working with appropriate and related organizations.